We produce our equipment to the highest standards possible as we do supply the general public as well as; Doctors, Spas, Clinics, and Medical & Healthcare professionals, worldwide. We are unique in that we provide only the highest professional grade equipment to both healthcare professionals and the public alike. This means that you get the benefits of using only the safest, most effective and most durable far infrared equipment that is available. Since 2004 we have been working with our clients providing personalised support and guidance throughout their Far infrared detox and rejuvenation programmes. 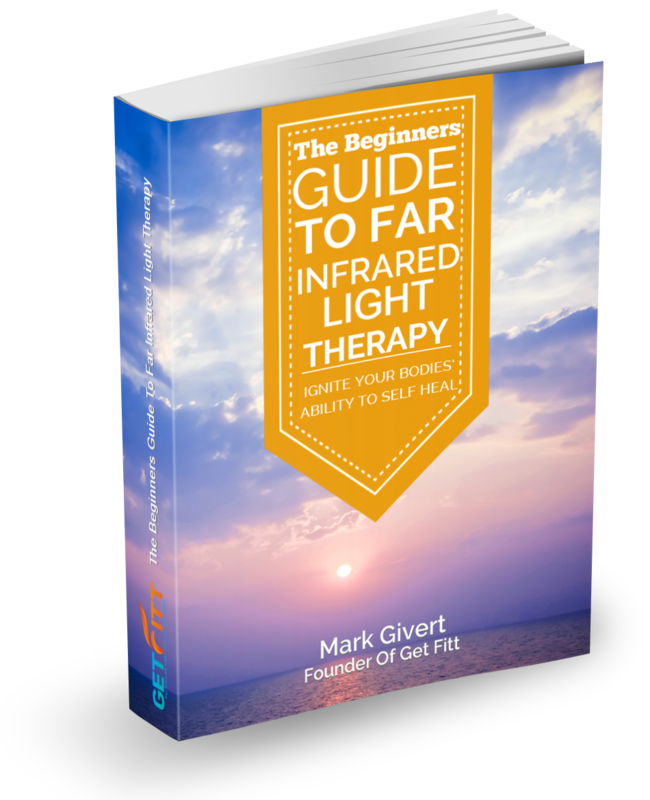 We offer you the option to work with your own personal Far Infrared specialist, who can provide much needed support and guidance by phone, video call, skype, and or email, wherever you may be in the world. We have learned much since 2004 and provide Far infrared training programmes for Doctors and healthcare professionals alike. Before Mark Givert Launched Get Fitt in 2004 he had worked in the Commercial property world for many years. He was part of a ground breaking team of consultants who specialised in helping the likes of the Government, Local Authorities & some of the largest Telecoms groups in the world. We were doing this work over 15 years ago! What we did included making sure that office buildings & call centres, that were manned 24/7, were safe and environmentally friendly in terms of Electromagnetic Fields (EMF’s). Headaches, cough, Dry Itchy tired eyes, blocked & runny nose, constant fatigue/tiredness, rashes/itchy dry skin, Cold or flu symptoms, sore/dry throat, breathing difficulties, irritability, depression, poor concentration, short term memory problems. A major problem for these organisations was very high rates of absenteeism! What we did was effectively an Environmental makeover on the buildings, reducing EMF’s, and thus decreasing electromagnetic stress for all the workers in the building. We conducted controlled studies, and found that we were able to reduce absenteeism by up to 70%. By reducing the high levels of Electromagnetic radiation in the buildings and adjusting other electromagnetic components in the workplace. The result was that the health of the workers improved dramatically. As a result of my unique experience in the ground breaking field of Electromagnetic stress, more than 15 years ago, I was able to utilise this knowledge when we started Get Fitt. Since our birth in 2004 we have utilised our expertise in the field of EMF’s to produce Ultra low EMF and totally safe Far Infrared equipment. This is why we are world leaders in the production of safe and effective Far Infrared equipment. The result is that all of our equipment uses our Ultra Low EMF technology, which is why we stand apart from everyone else. We have been developing our products since 2004 which is why our equipment is so safe & effective. We have achieved this by producing Far Infrared Equipment using the highest quality materials and the finest Japanese and German components. Most Far Infrared heating technology currently available is in fact well over 8 to 9 years old. As you no doubt appreciate technology has advanced alot in that time. In fact we were asked by some of the Doctors we worked with to develop even more powerful Far Infrared equipment. This meant us making a unit that generated even more far infrared. This is exactly what we delivered with our Professional Range that uses our most Advanced Generation 3.0 Far Infrared Heating Technology. Not only is the professional range ultra low EMF, but also it genrates more than 4 – 5 times more Far Infrared than the ordinary far infrared heating technology that is commonly available. The image the left is ordinary FIR technology and shows green and orange stripes; the orange area shows Far Infrared and the green area shows NO Far Infrared. As you can see in the image on the left there is a large area where NO far Infrared being generated. where the Far Infrared is being generated. The superior Far Infrared generation of the professional range is very clear to see. How do we ensure that our equipment provides only the safest and most effective treatment possible? The answer is simple, we use our Ultra Low EMF technology and superior components in the production of all of our Far Infrared equipment. In 2004 we launched our Original Cocoon technology. Since then, year after year our original Cocoon technology has proven itself to be safe, effective and reliable. This is why we are still producing it today. Our Original Cocoon technology served as the launchpad for our latest most Advanced 3.0 Far Infrared Heating Technology.